Prem Rawat's father was part of what is known as the "Sant Mat" tradition. 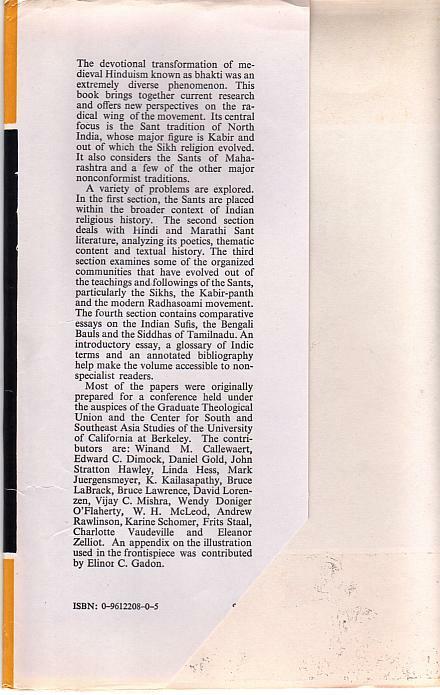 This is a group of loosely related northern Indian religious paths that began in a medieval revival in opposition to the strict Brahman Vedic religious system characterised by caste, rituals and sacrifices for which dakshina had to be paid. 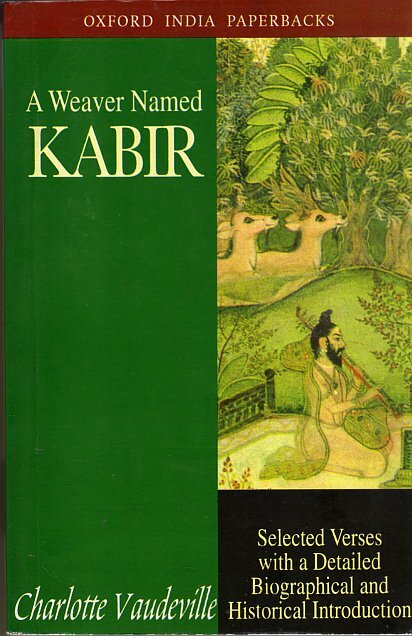 It was also heavily influenced by Islam and its most prestigious and seminal voice, the weaver-poet Kabir is considered by both religions to be one of them. 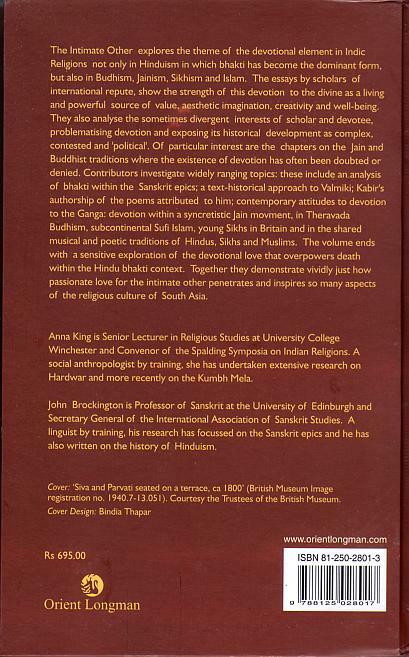 For a reasonable and accurate description see the Wikipedia Sant Mat page. 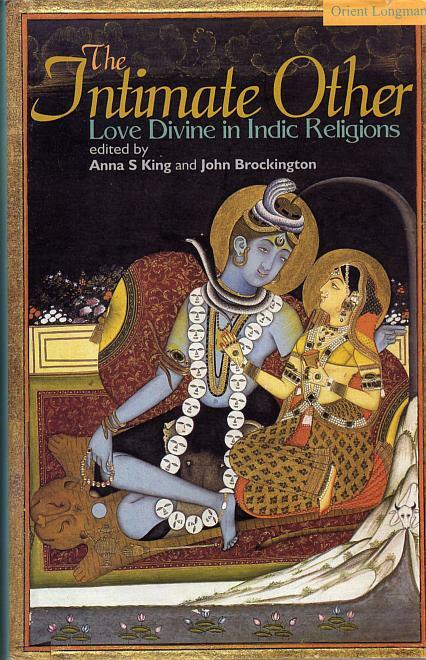 In it's modern forms Sant Mat religions rely most centrally on the doctrine of bhakti (devotion) to a living human master, the Satguru or Perfect Master, who is considered divine. Both Prem Rawat and his father, Satgurudev Param Sant Shri Hans Ji Maharaj, have taken this doctrine to it's extreme though the living Rawat no longer publicly proclaims it as he did earlier in his career. 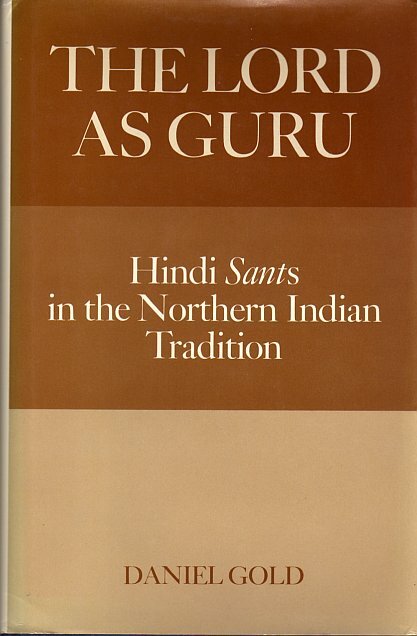 This position of a divine guru is obviously a desirable one and modern Sant Mat cults nearly always have considerable dissension and controversy on the succession of the Satguru after the death of the living incumbent. (see "Radhasoami Reality" by Professor Mark Jurgensmeyer, p43) This happened when Rawat's father declared himself the Satguru on the death of his master, Swarupanand, and occurred in Rawat's career when his mother and elder brothers and the Indian Divine Light Mission organisation decided he was no longer fit to be Satguru and deposed him in favour of his eldest brother Bal Bhagwan Ji or Satpal Maharaj, the successful Godman and politician, as he now calls himself. 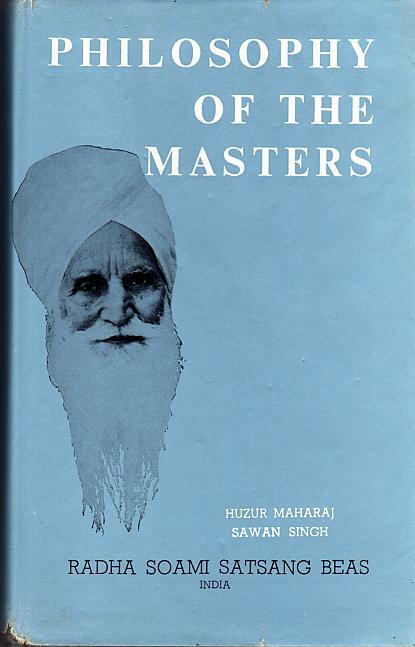 This is a collection of letters, on matters spiritual, written to the Great Master by his Preceptor and in turn by him to a large number of his disciples and seekers all over the world. The letters are verily a mine of esoteric wealth and Eternal Truths which travellers on the spiritual path cannot but keenly treasure. 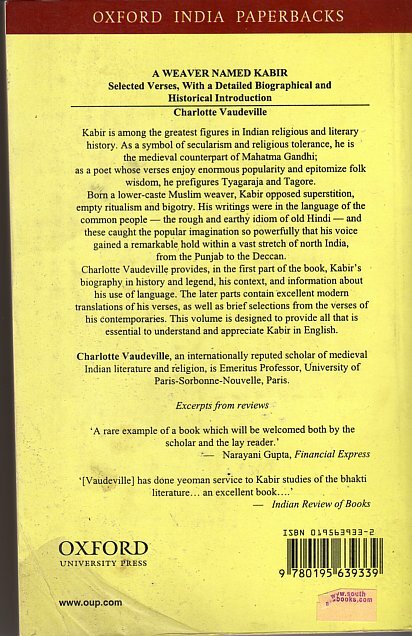 This book, the first of a series, is a rendering into English of the discourses given by the Great Master from time to time. They are based on texts from scriptures dealing with spirituality and are replete with an exposition of the esoteric points involved, the role of ,a living Master and the Audible Life Stream. They delineate a practical way of searching God "within" us and realising Him here and now. 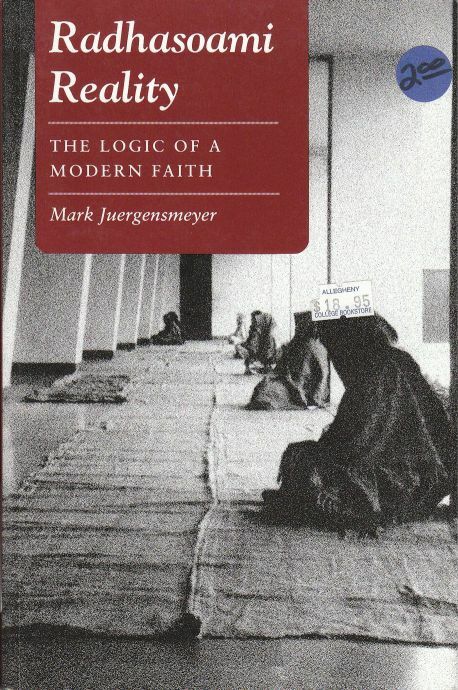 The book is a "must" for all seekers after Truth. Some books are to be read and discarded like the ashes of a cigar. Others are, however, to be thoroughly digested and assimilated. 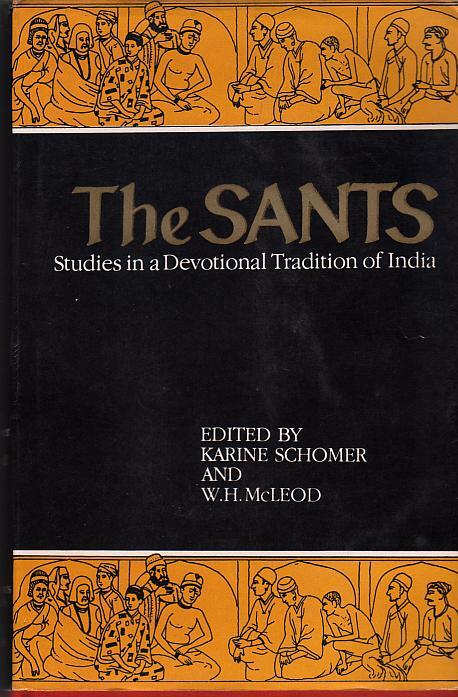 Such books act as a beacon light for the traveller on the path of his moral, social and spiritual life. 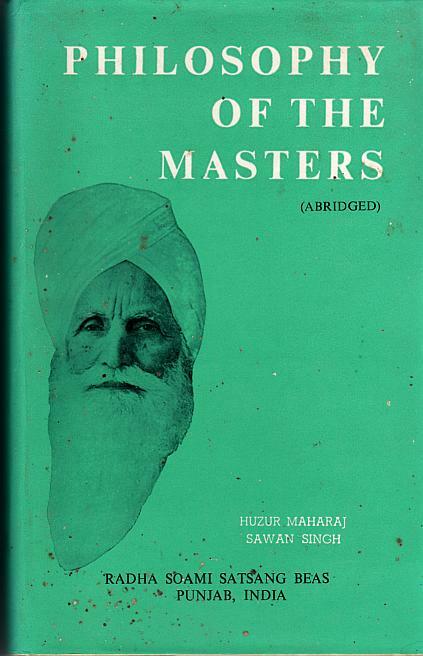 The Philosophy of the Masters ranks very high amongst this later category of books and contains abundance of material for the guidance of seekers after Truth. It deals with spiritual discipline for ultimate communion with God with scientific precision. 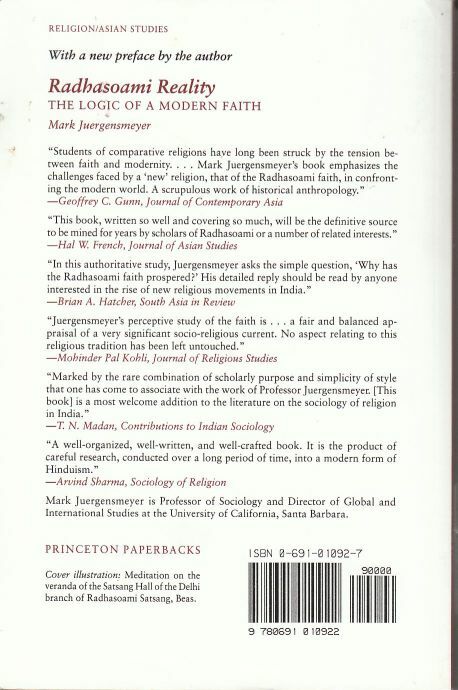 This is supported by quotations from Sages, Seers and Mystics of all ages and countries. The whole book will appear in six series of which the present is the first. 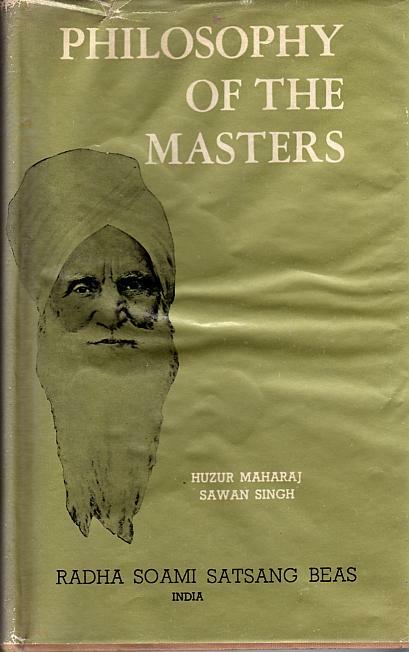 Maharaj Sawan Singh the author of this book, assumed the Master's role soon after the death of his own Master in December 1903. 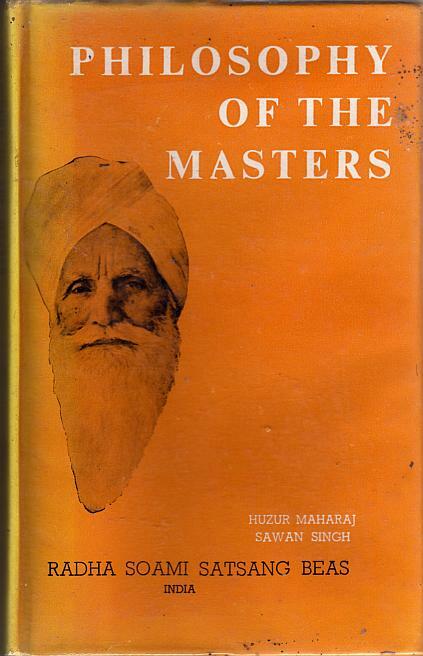 His teachings, popularly known as Sant Mat or the teachings of the Saints, are fundamentally based on connecting the soul currents with the Audible Life Stream - the Word or Shabd. which resounds within us all. This is done by spiritual discipline and by practice of repetition of Holy Names and contemplation, etc., in accordance with the initiation and direction of a living Master. 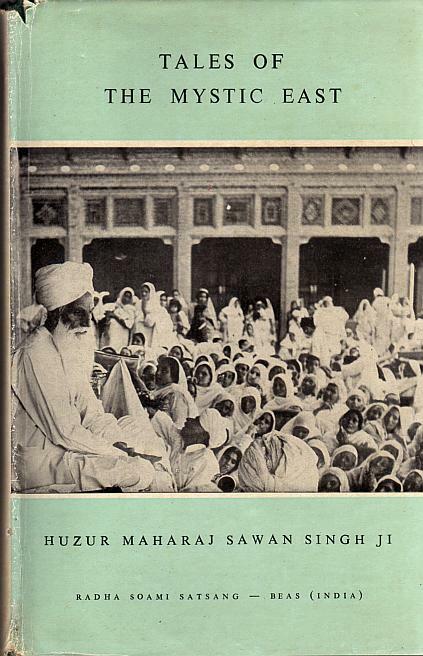 From 1903 to 1948, the author lived, practised and imparted the above teachings at the Radha Soami Colony at Dera Baba Jaimal Singh, situated near Amritsar - Punjab, India. 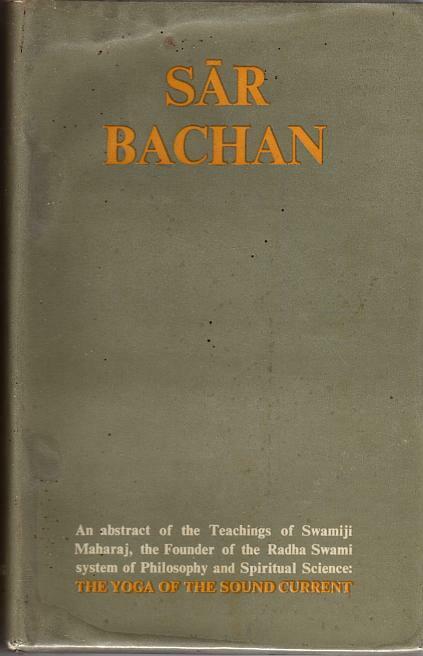 The institution where he propagated his teachings is known as Radha Soami Satsang Beas. 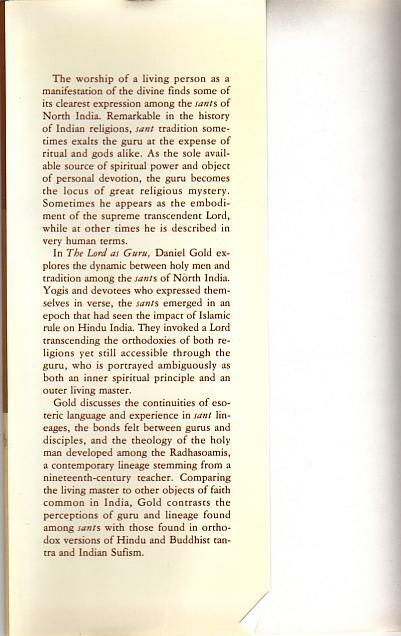 He initiated over a hundred thousand persons into the secrets of the above spiritual practices, which have no connection with religion, caste, creed or nationality. The followers include people from all religions and countries, including the United States of America, South Africa, and the continent of Europe. 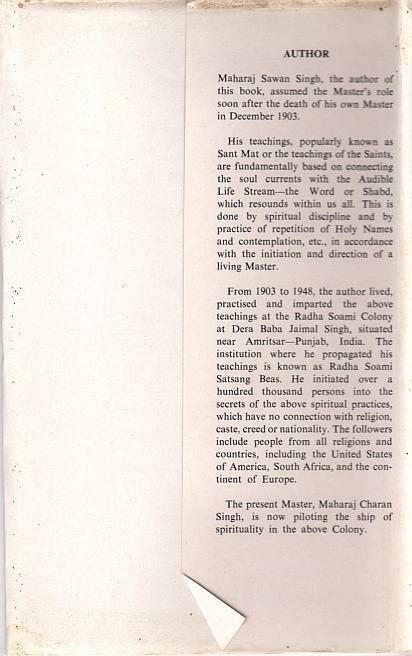 The present Master, Maharaj Charan Singh, is now piloting the ship of spirituality in the above Colony. 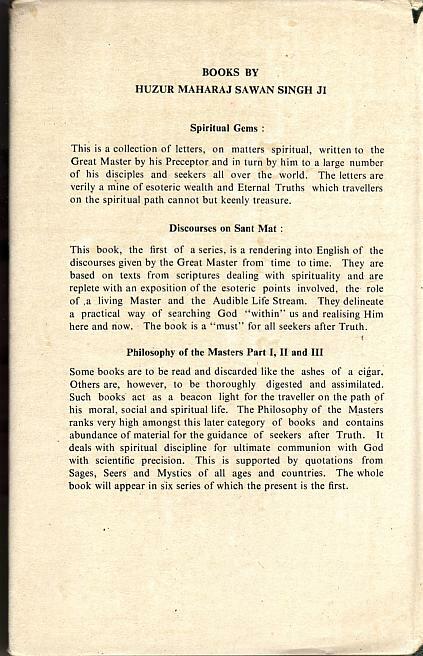 Click Here to view a glossary of Sant Mat spiritual terms.